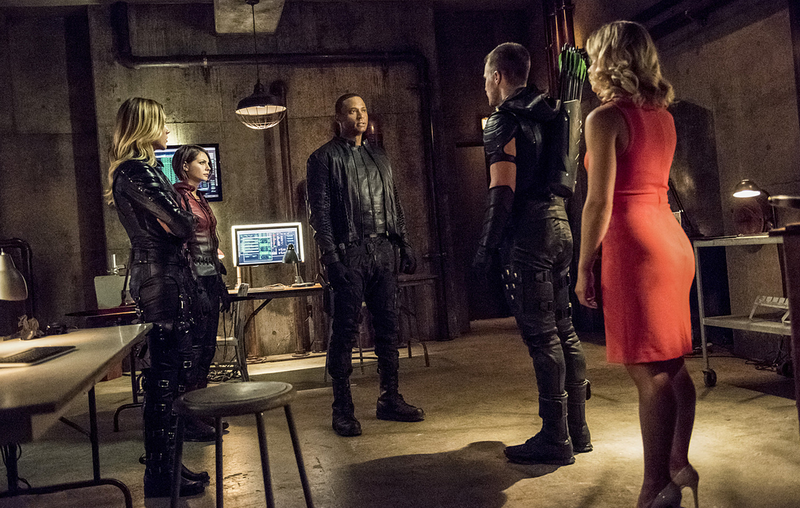 Executive Producer Wendy Mericle previews Arrow's new season beginning October 7 at 8/7c! Ollie (Stephen Amell) and Felicity (Emily Bett Rickards) may have driven into the sunset together at the end of last season but with a week until the season 4 premiere, Star City may need him to don his green leathers again. This new featurette previews this upcoming season and explains how Team Arrow has done without Ollie and what new threats arise that force his return. Executive producer Wendy Mericle describes the new team of Black Canary (Katie Cassidy), Speedy Red Arrow (Willa Holland), and Diggle (David Ramsey) as the city's new kickass guardians but a new threat raises the stakes. Damien Darhk (Neal McDonough) and his "Ghosts" are wreaking havoc to "cleanse" the city. This calls for the team to try and convince Ollie as the 'Green Arrow' to come back and help. Something Felicity is ready to jump at. MY NAME IS THE GREEN ARROW — Oliver (Stephen Amell) and Felicity’s (Emily Bett Rickards) blissful getaway is cut short when Thea (Willa Holland) and Laurel (Katie Cassidy) pay them a visit and tell Oliver they need his help back in Star City. The city has been attacked by “Ghosts,” assassins led by a dangerous man named Damien Darhk (guest star Neal McDonough). However, when Oliver returns, Diggle (David Ramsey) makes it very clear that he doesn’t want Oliver on the team. Arrow Season 4 premieres on October 7 on CW.